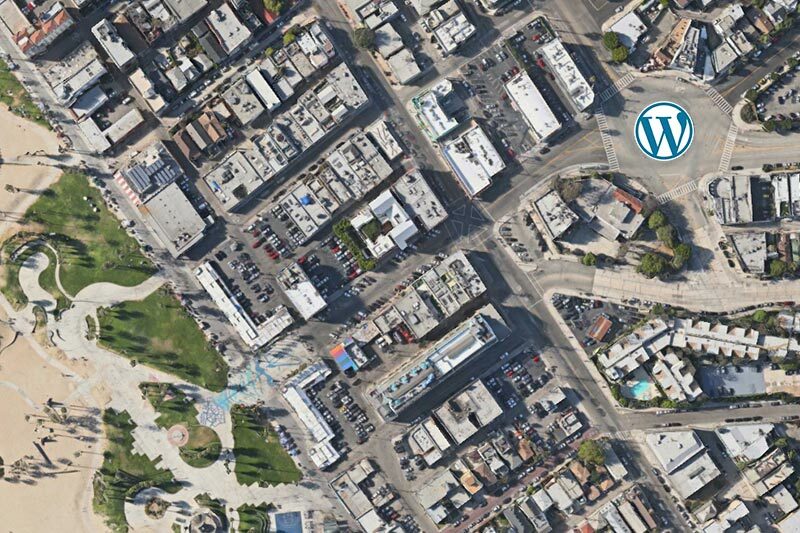 Notes on the changing landscape for a freelance custom WordPress developer living in L.A.
After nearly seven years living in Brooklyn, settling the now uber-hip Morgan St. stop on the L train, the ‘Great Recession‘ of 2008 sent me packing for home. In that time I had done interior construction, rooftop landscaping, after-school and summer music education, and metal sculptural fabrication. Good times. None of those things were paying the rent. Coming home I realized it was time to choose a career that had some staying power. Something future proof. Something I could stand to do for the rest of my life. Web development was an obvious choice being one of the few growing industries during the recession and being a profession that always requires learning. Having programmed Basic when I was 10 on my Timex Sinclair 1000, I wasn’t intimidated by code. And I had a good friend who could show me the ropes. Learning HTML/CSS well enough to build the first version of my website took me about three weeks. Learning WordPress well enough to build my first custom theme, about six weeks. Within six months I was confident enough to take my first paying gig. For a time competition for web development jobs in Los Angeles was light and work seemed assured. In 2009, I was staying busy and charging $50/hr. Confidence was high. I had chosen the right path. The rent was paid. The rise of ‘Silicon Beach,’ on the west side of Santa Monica and Venice, has for the past few years suggested that Los Angeles might no longer be the tech desert is had been for so long. We’d been the biggest city in the country with no large tech conferences and few networking opportunities. With the arrival of an influential handful of the big tech companies over the past few years including Google, Yahoo, Hulu, Buzzfeed, and AOL, the perception that Los Angeles wasn’t a beneficial place to start your tech business or pursue a career in the industry has changed. These large companies have brought with them talented people who have helped shape a new tech community that has taken shape around meetups, conferences, and other networking opportunities. And with the momentum that fostered, new meetups and events are cropping up every week. An oasis in the desert had formed. The up side is networking opportunities and availability of high level jobs. The down side is that talented and qualified people are moving here from places like San Francisco and New York City increasing competition not only for the high level jobs but also for freelance gigs and part time work. The result has been greater competition from very qualified people. Another force shaping opportunity for freelance developers has been the burgeoning industry of DIY website solutions. Companies like Squarespace and Web.com, offer a full service website solution allowing people to host and easily create their own template based website for a fairly low yearly fee. As the included templates offered with these services have become more contemporary and responsive, the results people can expect have become more compelling to small and mid sized business based on the cost and the security of 24 hour customer service. In addition, the trend in design has been clean and simple, or content first. This has lead many companies to find less original designs acceptable for their purposes and made all-in-one web solutions more compelling. In order to keep overhead low many of these companies outsource their work to places like Indonesia and India where they can find developers who are happy to work for $10/hr. The result has been that the perceived value of basic services like HTML/CSS coding has gone down. 10 years ago it was possible for people in this country to make $50/hr for simply doing HTML/CSS. Now $15/hr is the norm. Unfortunately, many of the companies don’t need a custom CMS and are paying a good deal more than they should for development and maintenance of a dynamic website. Needed or not, the widely held perception is that companies need highly qualified developers regardless of their limited needs. And the result has been that people with less expertise who offer very beneficial and affordable results are making less and finding that there is less opportunity. Putting all this together I’m now more optimistic about my opportunities, but only as far as I’m able to develop greater skill toward becoming a front-end developer with a lot of WordPress experience, rather than being a WordPress developer. With greater opportunity to network and meet people in the industry I have more resources than ever at my disposal to learn what I need to excel.